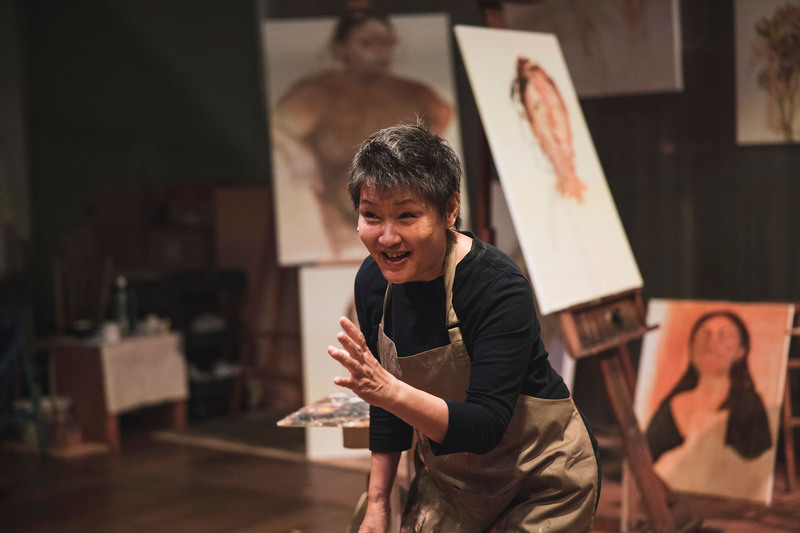 Directed and dramaturged with verve and sensitivity by Claire Wong, Still Life focuses on how we look at the world, at the past, and at ourselves. How do we see what we see? And how do we look at a life that’s never still in order to make meaning? 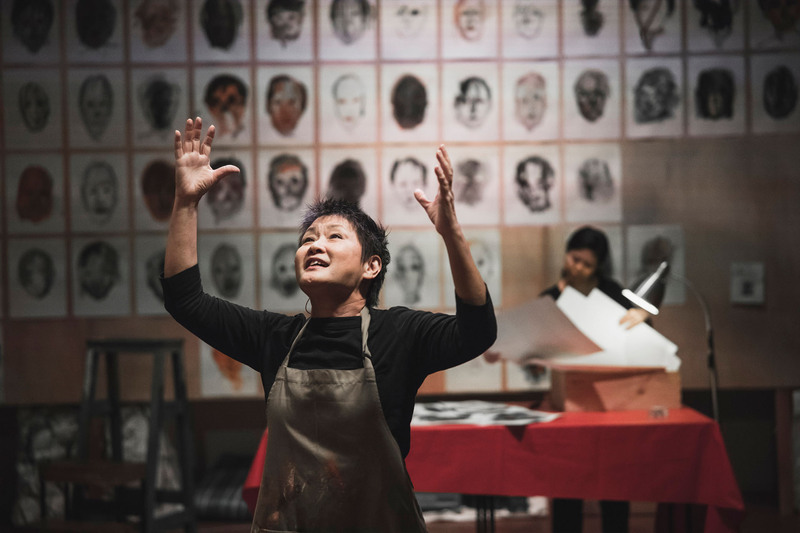 STILL LIFE remains a brave production that puts life itself into perspective, an installation given life with a true story, and the lesson that art itself is worth doing. A rich and deeply moving meditation on the art of life and a life in art. 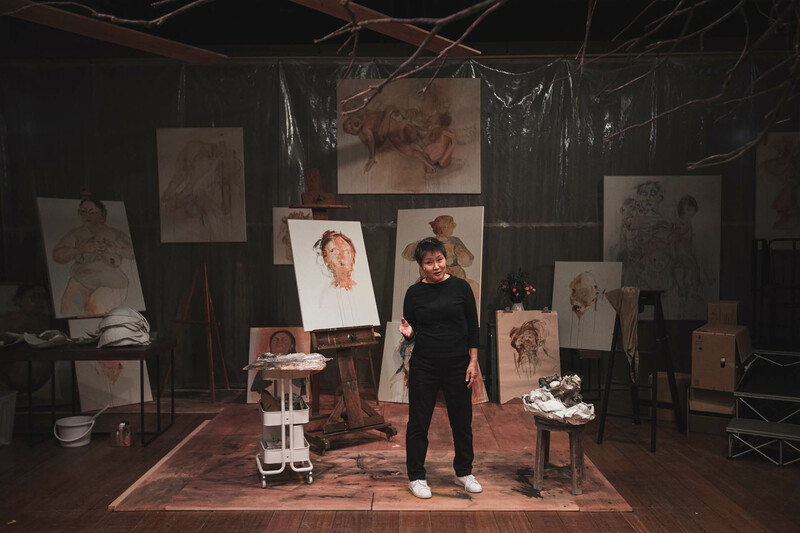 In an immersive set filled with Lam’s paintings, Wong and Lam seamlessly fuse writing, theatre-making and art-making, as Lam looks inward and turns her artist’s gaze back on herself. 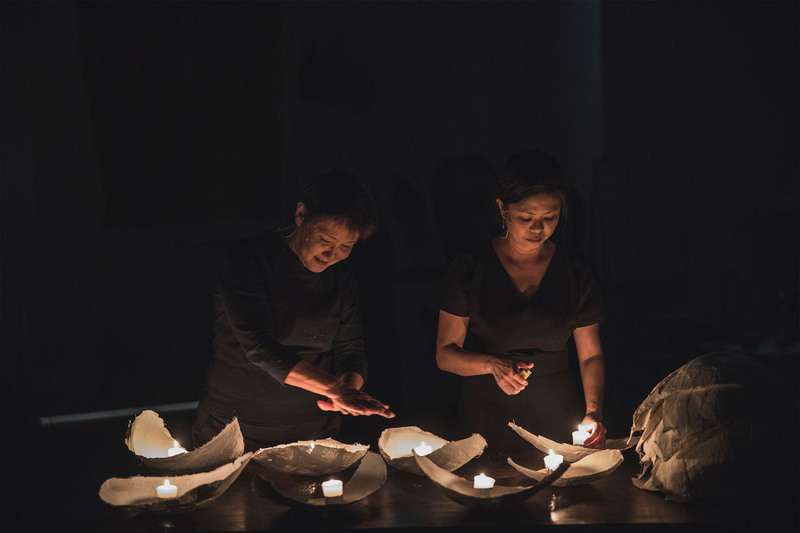 [Jean] Ng’s gracefulness and confidence complemented [Dana] Lam’s passion and genuineness. 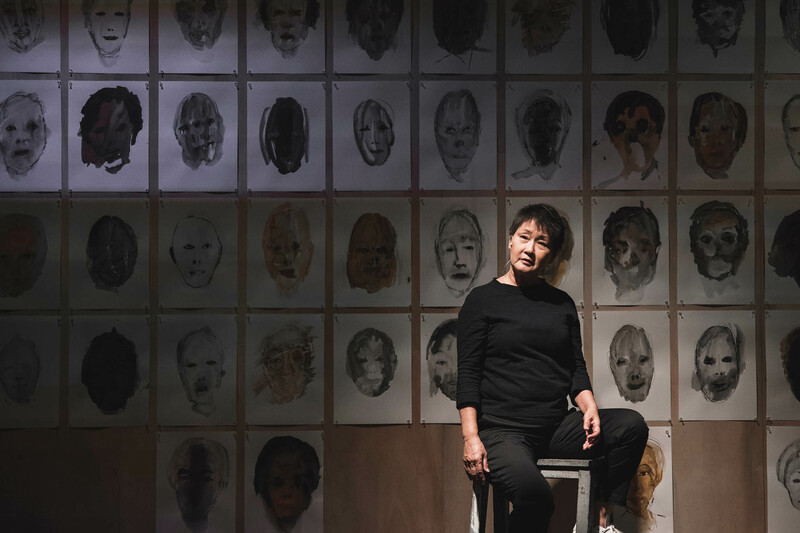 The delivery of the story came across with clarity and resolution, definitely under the care and sensitivity of Claire Wong‘s direction and dramaturgy. STILL LIFE leaves the viewer wanting to know more about the artist… There is plenty of life left in the concept, which already invites repeat viewings just for the visual art.